Sometimes, people will express traits that are the very opposite of the traits that their natal charts would indicate. The best example of this I can think of is that some of the filthiest people I have ever known had strong Virgo placements. Now by filthy, I don’t mean messy or sloppy or merely dirty. I mean, they were filthy. Which is exactly the opposite of the nit picky, hyper organized, OCD clean personality stereotype we often ascribe to the sign. I’ll never forget one couple, both Virgo suns. They would throw boozy, smoky parties which was nice, but they didn’t seem to understand the concept of cleaning up afterward. There was always crap all over the carpeted floor. They seemed to lack some kind of basic clutter/waste management infrastructure. Instead of a garbage receptacle, they just formed a garbage pile against the fridge that grew incrementally every time I visited. Instead of shelves, they just piled various items like books and clothes against the wall and then against each other. Although they had few possessions, their place always seemed crammed to the gills. And they truly loved living in this den of squalor. There was a kind of underlying anti-authoritarian, breaking all rules kind of defiance to it all, at least on the part of the man. 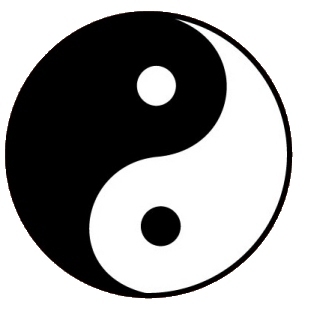 Jung wrote about this concept called enantiodromia wherein a psychic system, when pushed to one extreme pole, will begin to express its opposite polarity.